Ultima III has thousands of fans around the world, and here's the home for the Mac users among them. I read some messages in the forum about making custom tile sets and talking about changing the music and stuff, does anyone have any custom things they are willing to share? It would be cool to see graphics taken from a modern RPG (screenshots?) and put into a high resolution tileset for our U3! Sosarian wrote: I read some messages in the forum about making custom tile sets and talking about changing the music and stuff, does anyone have any custom things they are willing to share? I am working out an Ultima IV soundset (which is really more of a retro-upgrade) as we speak. 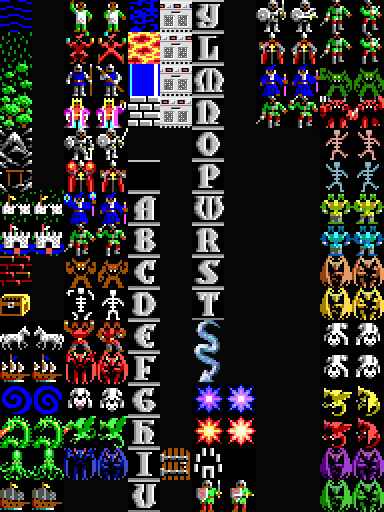 I've also done an Ultima V tileset, which was challenging because I like the way the variant monsters get their own modified pics in some tilesets, but I didn't want to create "non-official" U5 tiles if I could help it. I would upload the tileset, but I'm not sure if it's legit to do that or not. I would be really surprised if Electronic Arts would care at this point. I'd be happy to host it if it looks like something other people would want. Just email it to ultima@lairware.com if you'd like me to host it. Ctrl-click on Ultima III and select "Show Package Contents". Drop in the new image file here, and fire up Ultima III. Go to Ultima III's preferences (or click "Adjust Options" from menu screen). Select the new tiles from the Tiles menu.